At our recent Consumer Insights Symposium in NYC, presenters Andrew Cannon, Executive Director of the Global Research Business Network and Simon Chadwick, Managing Partner of Cambiar, opened the half-day session with a hard truth for insights departments not measuring the ROI of the insights they produce: fewer and fewer C-suite executives are willing to continue investing in a function whose return on that investment is not being measured. And, at the same time, competition for budget within organizations is increasing; specifically versus departments such as digital marketing and CX – many of whom present strong ROI-based business cases for investment in their functions and are often pulling from the same funding pool as CI. While the objective is for Insights to be seen as a “strategic consultant” to the business, the reality is that Insights is more often considered reactive and functional rather than strategic by its internal clients. The good news? A joint GRBN/BCG study conducted in 2017 showed that consumer Insights departments that ARE measuring and reporting the ROI of insights are achieving the highest levels of strategic competitive advantage. Insights has the opportunity to become the rocket fuel that drives the increasingly consumer-centric decision making environment. ROI of Insights is not just about better, faster, cheaper. Saving 10% on the cost of a project might be beneficial, but it is not the kind of meaningful return on investment we are talking about here. Real ROI is about the impact your insights have on the business and, thus, what your company gets back from the investment it makes in you, your team and your research. And because measurement requires action, it follows that insights are not really insights if not acted upon. Incremental revenue and profitability, or reduced costs based upon the actions driven or stopped by the insight you generate, is the return companies are seeking. 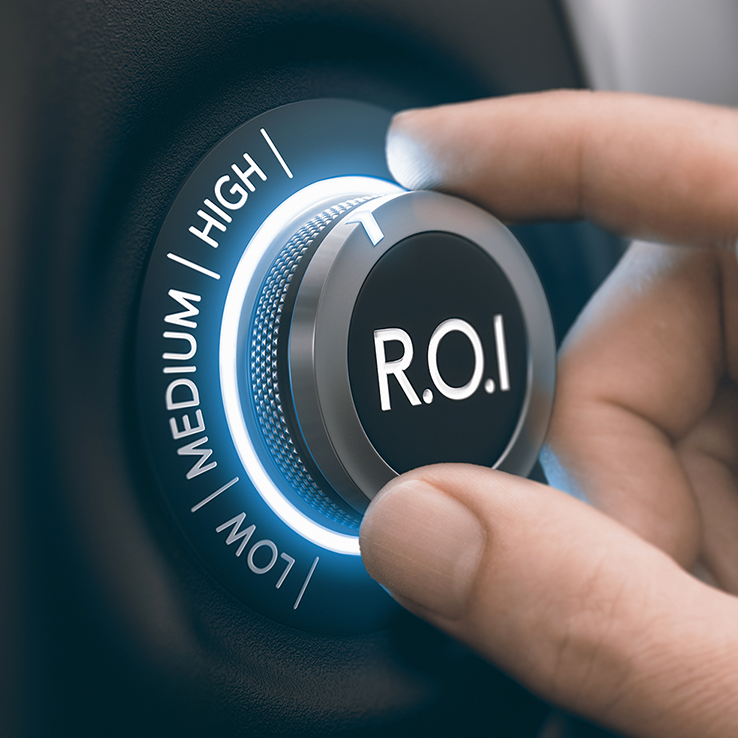 ROI comes in many forms, including financial metrics (such as profit or revenue growth), non-financial metrics that are meaningful in your organization (such as increases in brand preference, improved NPS scores, or decreases in customer churn) or even positive qualitative feedback on the impact of insights on the business from an important stakeholder on the initiative. Determine the inputs to ROI at the project level, then aggregate those project-level measurements so you are reporting at the “business decision” level; ideally, tying those business decisions into a high strategic business priority. For example, don’t report on the ROI of Focus Groups conducted to get consumer input on an innovation strategy; instead roll those Focus Groups up with all insights initiatives that feed into the broader innovation initiative. Your ROI reporting will be much more meaningful and you won’t get stuck in a situation where a project just doesn’t have a measurable ROI (yes, that does happen!). The more strategic the research function within the organization, the more likely they have a champion in the C-suite. Most often this champion is the CMO, however if you can align with the CFO you’ll really have a powerful partner. Teamwork is your friend. External agencies with whom you work can be strong partners in helping you measure ROI. To the degree that you can, include your trusted agency partners in the broader discussions around important initiatives so they, too, understand what success looks like. The more people invested in your success, the more likely you will be successful. Measuring the ROI of Insights is closer to possible than you thought, why not get started today! For more information and help, check out the GRBN’s Invest in Insights Handbook.